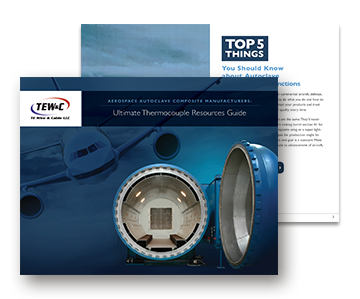 Our all new Thermocouple Resources Guide provides aviation/aerospace autoclave composite manufacturers with a wealth of thermocouple wire and cable information that helps improve operational efficiency while reducing the waste typically caused by hand-made thermocouples. Reducing setup time by 90%! Provided in an interactive PDF format, you can keep the guide on your desktop, laptop or tablet for quick and easy reference. Complete the simple form to download your FREE e-book.